An open source application development kit for Drupal websites. 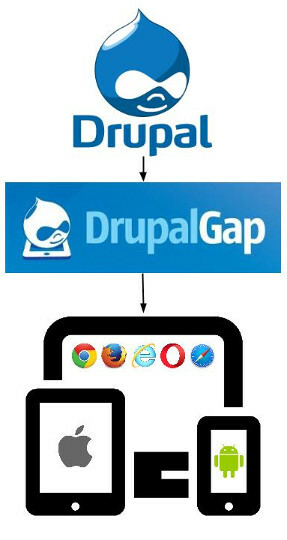 What is DrupalGap used for? Build custom apps, with one set of code, and then deploy them to a wide range of app stores, devices and browsers. What is under DrupalGap's hood? Since Drupal covers our needs on the backend, let's learn more about our needs on the front end. This is where PhoneGap and jQuery Mobile come into play.